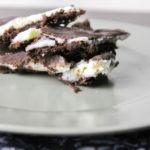 During one of my late-night “Pinning” sessions, I saw all these yummy desserts made with Cadbury Eggs! 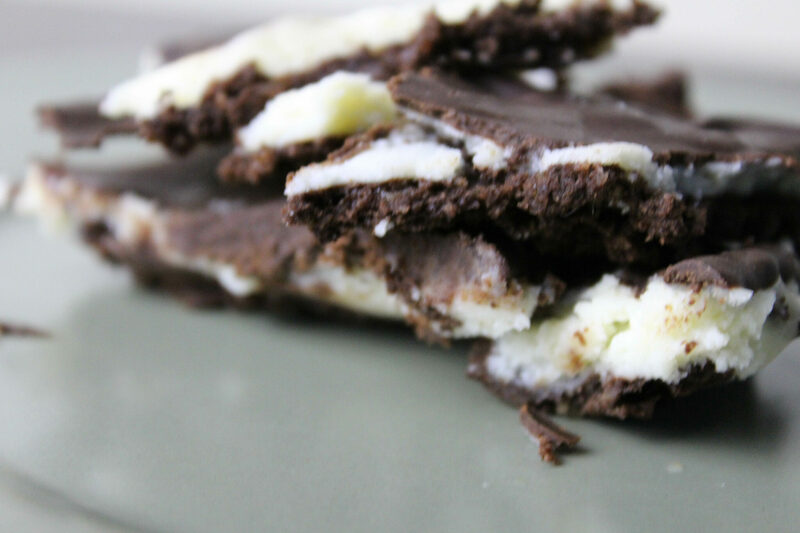 Since Easter is coming up, I wanted to re-create one of the ideas that I saw so we Trim Healthy Mamas could have a decadent treat on Easter too! I decided to create Creme Egg Brownies. 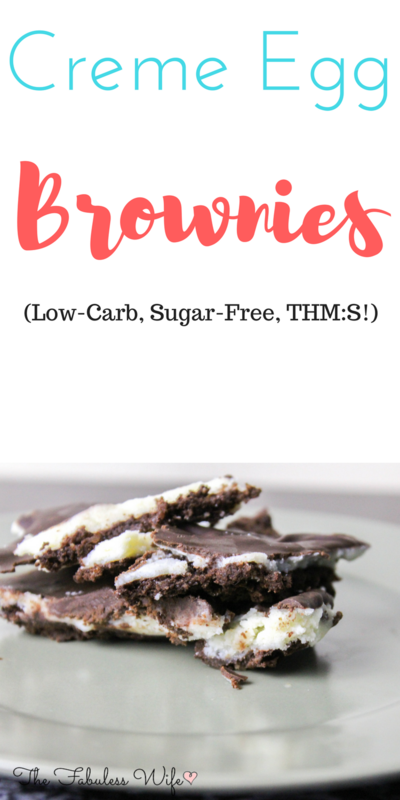 These brownies are made using the base from my Peanut Butter Brownie Bites recipe, but if you’re super loyal to another THM-friendly brownie, feel free to sub that out. I knew that the creme layer would be perfect if it was made with My Montana Kitchen’s Sweetened Condensed Milk. Seriously, if you haven’t made it yet, run to your kitchen ASAP to get a batch in your fridge. 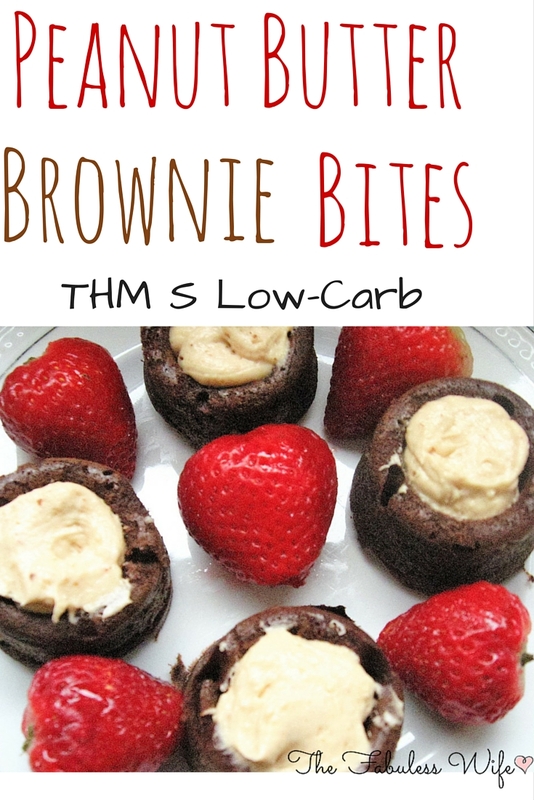 This stuff is amazing in coffee, or simply to make amazing treats like these brownies. 🙂 I did make one slight variation to alter the texture a bit, but that variation also added extra protein! To add a little extra oomph I put more chocolate on top simply by melting chocolate chips and a bit of cream together until smooth. This recipe feeds a crowd and makes one 9×13 inch pan. This is a richer dessert, so you may find yourself only wanting one! I keep mine refrigerated because I think that makes the layers sit better. Preheat your oven to 350 degrees. Melt butter and bakers chocolate over low heat till just smooth. Pour into a large mixing bowl and add remaining ingredients. Stir until combined. Pour batter into a greased 9x13 inch baking pan. Bake for 28 minutes or until barely done. You want your brownies to be just barely done, as I find this makes them super fudgy. Let cool. Make My Montana Kitchen's Sweetened Condensed Milk. Let cool to room temperature and add the protein powder or collagen. Stir and layer on top of cooled brownies. Place in fridge until set (about 20-30 minutes). 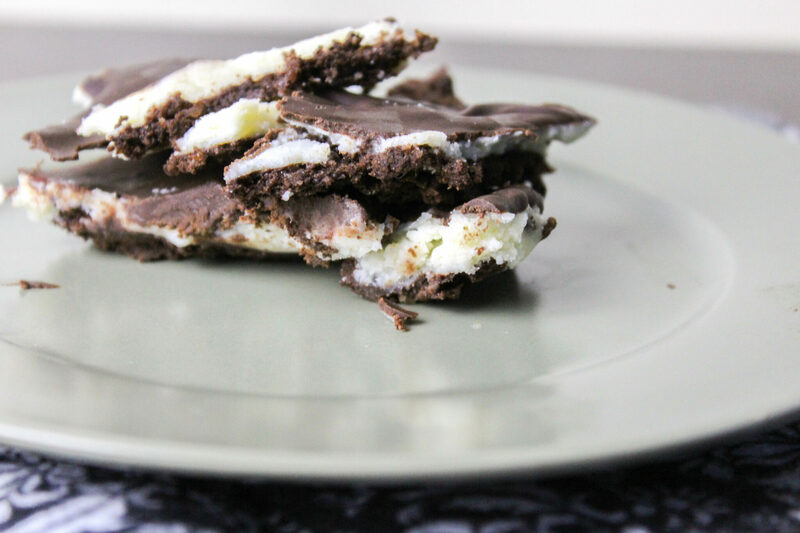 Melt chocolate and cream together. Spread over cooled brownies and cream layer. Refrigerate until set. Enjoy! So, here’s a unique way to enjoy your coffee on a hot day. Because let’s face it. It’s early August and the majority of us are still dripping in sweat. 🙂 A creamy layer with bits of chocolate tops a layer of pure coffee for a combination that is both sophisticated, yet completely tastes like you took your Starbucks drink and froze it. 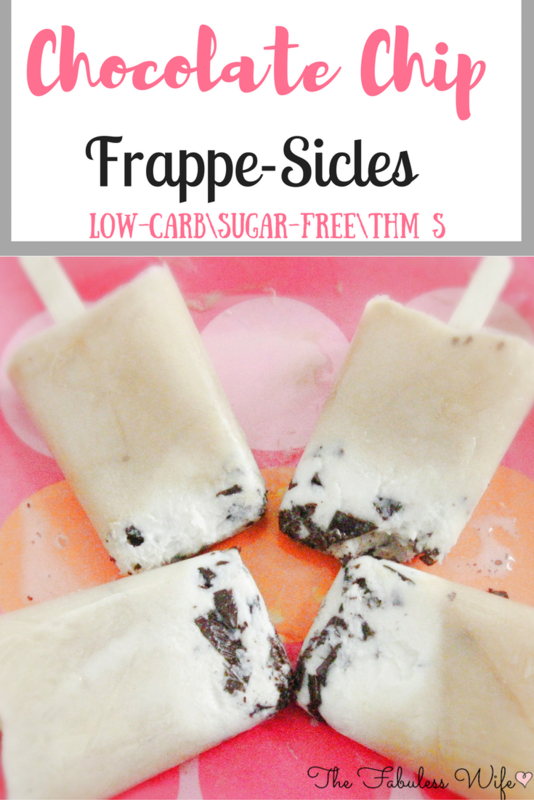 These frappe-sicles are simple to make. They require just a little bit of passive prep time. I say passive because they need to sit in the freezer for a bit, but you can just try to forget they’re there and move on with your day. Unless you’re like me and have the impulse to check them every two minutes. Which I wouldn’t recommend because it prolongs the process quite a bit. A creamy, coffee-filled treat! 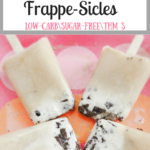 My Chocolate Chip Frappe-Sicles are the perfect girly dessert to cool down with. Make a cup of super strong coffee. I used my Keurig and put in double the grounds that I usually do. You can also use instant coffee mixed with lukewarm water to save time, though it just doesn't taste as good. Let cool to room temperature. 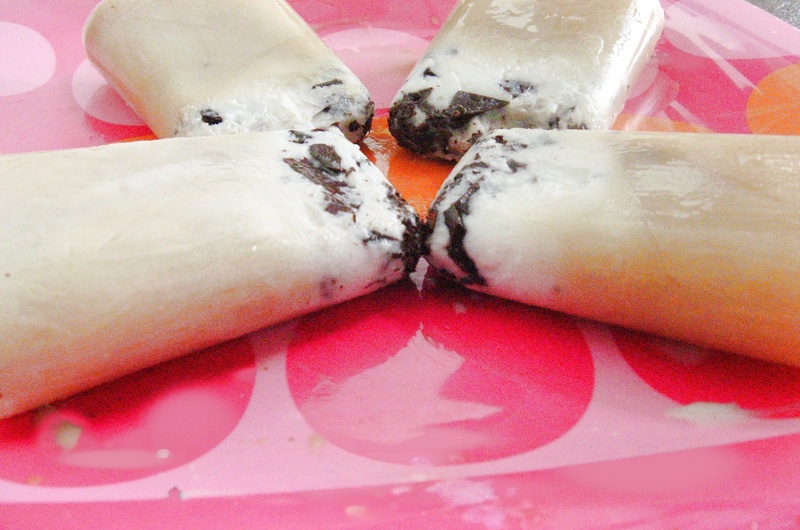 Evenly divide your chocolate into the bottom of a popsicle mold. Mix your half and half, cashew milk, vanilla and gentle sweet in a small cup. Divide evenly into the four popsicle slots. Place a piece of tin foil or saran wrap over your popsicle mold and poke a hole to place a plain wooden popsicle stick in each mold. This keeps the sticks in place. From personal experience, I don't recommend using the sticks that already come with the molds, simply because this treat has multiple layers and it's hard to keep them separated. 🙂 Put the popsicle mold in the freezer and freeze until the cream layer is solid. This took about 2 hours for me. Once the cream layer is frozen enough, evenly divide the cup of coffee between the molds. Freeze until solid. Enjoy! 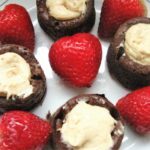 Peanut Butter + Chocolate =Peanut Butter Brownie Bites! Peanut Butter Brownie Bites are the perfect way to indulge your sweet tooth. 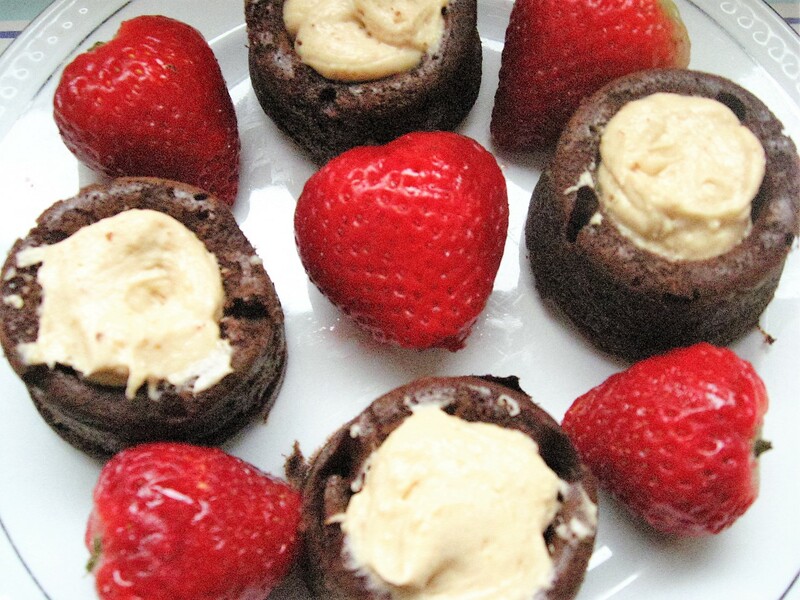 A fudgy brownie base topped with a creamy, peanut butter frosting, these treats hit the spot! Preheat your oven to 350 degrees. Melt butter and bakers chocolate over low heat till just smooth. Pour into a large mixing bowl and add remaining ingredients. Stir until combined. I used a little silicone pan for my bites. I baked mine for 20 minutes. You can use a larger muffin tin for bigger "bites", just make sure to adjust the cooking time! You want your brownies to be just barely done, as I find this makes them super fudgy. Combine all ingredients. Add more almond/cashew milk if you see fit. Pipe icing on top of cooled brownie bites. While this recipe doesn't contain okra, I still found it tastes best after being in the fridge for a couple of hours! Since this is a decadent dessert, I'd say one or two bites would be a serving. Better Than Snickers Cake: THM "S"
Combine melted butter with Gentle Sweet and almond or cashew Milk. Add eggs and vanilla and stir until smooth. Mix in Baking Blend, Cocoa, baking powder and salt. Pour into an 8x8 pan and bake at 350 for 28 minutes or until cooked through. Combine lite coconut milk, cocoa, and Gentle Sweet. Bring to a swift boil, then let simmer until thick. This sauce does have a hint of coconut flavor (obviously! ), so if you're not into that, you can use a plan approved chocolate syrup. When the cake has cooled to room temperature, poke as many holes as possible into the surface. Pour the condensed milk and hot fudge into the holes and let it soak into the cake. Whip 1/2 C. cream, 1 t. caramel extract and 2 T. Gentle Sweet until light and fluffy. 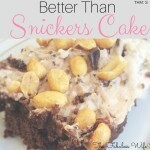 Top the cake with peanuts and 85% dark chocolate pieces!